Diversification is the process of investing in several different asset classes and sectors of the economy to reduce risk. The idea here is that if one particular asset class experiences a downturn, your overall investment portfolio shouldn’t take a major hit because it also has exposure to other asset classes, which may be performing very well. Consider the opposite. 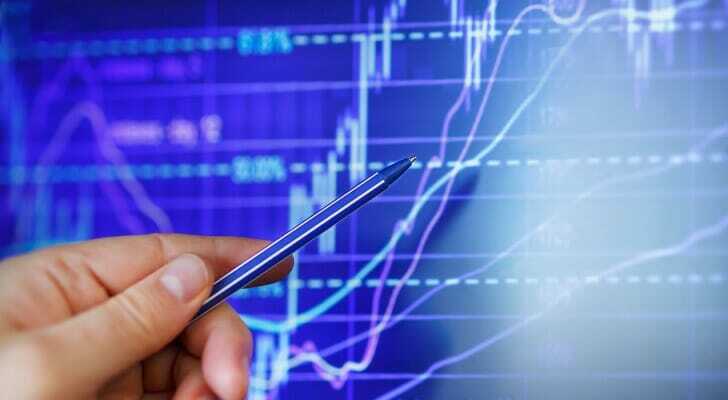 Let’s say you invest all of your money in stocks related to a particular economic sector. If that sector goes through major economic turmoil, you would likely face a major loss. So diversification serves as a cushion to protect your entire basket when a few eggs crack. This article will explore different asset classes and funds you can consider when devising a diversified portfolio. We can also help you find a financial advisor to guide you in creating a portfolio based on your personal financial goals. Stocks can fill one of the more growth-oriented pockets of your portfolio. A stock can grow as much as the company that issues it does. Think of the biggest multi-billion dollar firms that are now household names. Historically, equities (stocks) have generated a higher rate of return than most other asset classes. But with the potential for substantial growth comes a greater degree of risk. That’s why most financial advisors recommend that you carefully invest in stocks based on your own risk tolerance and time horizon. Those who have a high risk appetite and can invest longer may be more comfortable devoting large sections of their portfolio to equities. The rationale here is that you have more time to recover from market swings and reap the gains. Most investors view bonds as safer, low-risk securities. When you purchase a bond, you’re lending money to a company, government or other entity. Therefore, the entity agrees to pay your money back plus interest. These investments tend to pay interest on a periodic basis. But historically, they have delivered smaller returns than equities. Still, investors who are more focused on preserving their money than growth tend to favor these fixed-income securities. U.S. treasury bonds, for instance, are generally considered quality bonds. But just like there are seemingly endless company stocks you can invest in, you also have several bond options. These include municipal bonds, savings bonds and baskets of bonds (more on that later). Most investors also put short-term securities in the class of low-risk investments. These include short-term certificate of deposit (CD) accounts with fixed interest rates. You can open a CD at most banks for terms stretching from just a week to five years. Moreover, CDs tend to pay better interest rates than even the best savings accounts. You can always shop around for the best CD rates. Just make sure you don’t touch the money until your term ends or you’ll face a hefty early-withdrawal penalty. On the other hand, money market accounts typically offer easier access to your funds. Nonetheless, the safety provided by such investments also means they don’t usually generate high returns compared to stocks or bonds. But they deserve room in your portfolio if your objective is preservation of capital. Regardless of how much interest you generate from a particular investment, a high level of inflation can deplete the worth of your return. Inflation-protected securities aim to hedge against this risk. These investments tend to perform well in periods of high inflation. One example is real estate. And one of the easiest ways to invest in this asset class is through publicly-traded real estate investment trusts (REITs). You can buy shares of these as you would with a stock. You can also diversify your portfolio with other inflation-protected securities like commodities or funds that invest in commodity-reliant industries like oil, gas and mining. If you’re not too sure about hand-picking stocks and bonds for your own portfolio, you can always invest in already diversified mutual funds. Professional fund managers create these portfolios with a mix of stocks, bonds or both. Some also offer exposure to asset classes like real estate or specific sectors of the economy such as the healthcare industry. Some mutual funds also diversify their holdings with securities from different countries and emerging markets. But because they pool investors’ money, it’s easier to buy shares of a mutual fund than creating one yourself. Mutual funds involve a lot of moving parts. That’s why it’s important to shop around for one with an asset allocation that meets your risk tolerance and time horizon. 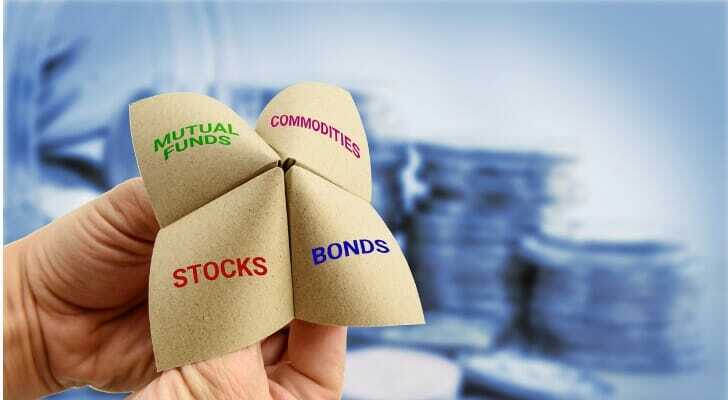 Index funds aim for diversification by investing in securities found in a particular index such as the S&P 500. This particular index captures the market capitalization or value of the country’s 500 largest companies. An index fund aims to reflect the performance of its corresponding index. As a form of passive investing, index funds require little management as opposed to their active counterparts which try to outperform the index instead of mirroring it. In turn, that generally means lower fees for the investor. You have several types of index funds to choose from. Some track indices that focus on large companies, while others aim for smaller firms. Others track specific industries. Exchange traded funds (ETFs) function very similarly to index funds. The main difference is that an ETF can be traded throughout the day like a stock. On the other hand, shares of an index fund ( a type of mutual fund) can only be bought and sold at day’s end at its Net Asset Value (NAV). Other than that, ETFs track indices and usually aim to reflect the performance of those. These types of investments allow you to diversify your investments by providing easy access to markets such as commodities. 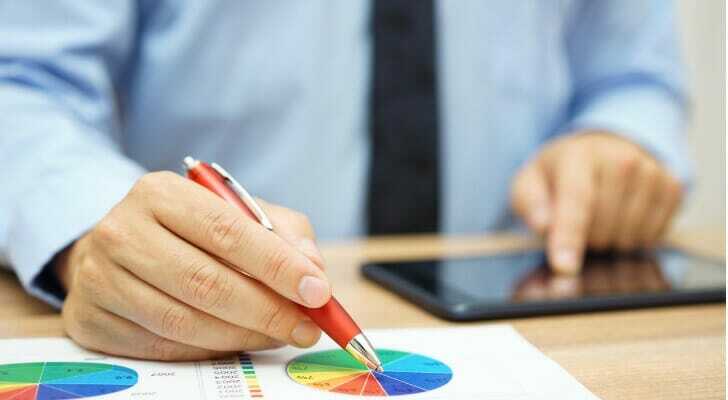 Target-date funds (TDFs) are mutual funds that automatically change their asset allocation based on the investor’s age. In general, they aim to invest more heavily in growth-oriented securities like stocks when the investor is young. They then switch gears toward fixed-income and other “safer” securities as the investor ages. That’s one of the reasons why most 401(k) plan menus include TDFs. All you have to do is pick one named after the year closest to the one when you expect to retire and the fund manager does the diversification for you. But no TDFs are alike. In fact, two TDFs named after the same year but managed by two different firms can have drastically different asset allocations and objectives. You should choose one that most closely reflects your time horizon and risk tolerance. Diversification is key to devising any investment portfolio. It entails investing in different asset classes in order to protect your money in the event one undergoes a major downturn. But with so many investment options out there, it can be a difficult task to decide on the right mix. You should approach it carefully by doing your home work first and understanding your risk tolerance. If you’re not sure what your risk tolerance looks like, you can use our asset allocation calculator. It gives you a glimpse of what different investment portfolios may look like based on your risk tolerance. Diversification can be a difficult task that could cost you your life savings if you’re not careful. But a qualified financial advisor can guide you through it based on your individual goals and financial situation. To help, we created our SmartAsset financial advisor matching tool. After answering a few questions, you’ll find information on up to three financial advisors in your area. You can review their skills and expertise. Then, you can decide which one to work with.